The Income Tax Act provides that on determination of the gross total income of an assessee after considering income from all the heads, certain deductions therefrom may be allowed. These deductions detailed in chapter VIA of the Income Tax Act must be distinguished from the exemptions provides in Section 10 of the Act. While the former are to be reduced from the gross total income, the latter do not form part of the income at all. The chart given below describes the deductions allowable under chapter VIA of the I.T. Act from the gross total income of the assessees having income from salaries. 80CCF Subscription to long term infrastructure bonds Subscription made by individual or HUF to the extent of Rs. 20,000 to notified long term infrastructure bonds is exempt from A.Y. 2011-12 onwards. This deduction is discontinued w.e.f. A.Y. 2013-14. 80RRB Deduction in respect of any income by way of royalty in respect of a patent registered on or after 01.04.2003 under the Patents Act 1970 shall be available as :-Rs. 3 lacs or the income received, whichever is less. The assessee who is a patentee must be an individual resident in India. The assessee must furnish a certificate in the prescribed form duly signed by the prescribed authority alongwith the return of income. 80QQB Deduction in respect of royalty or copyright income received in consideration for authoring any book of literary, artistic or scientific nature other than text book shall be available to the extent of Rs. 3 lacs or income received, whichever is less. The assessee must be an individual resident in India who receives such income in exercise of his profession. To avail of this deduction, the assessee must furnish a certificate in the prescribed form along with the return of income. Sum deducted from salary payable to Govt. Servant for securing deferred annuity for self, spouse or child Payment limited to 20% of salary. Contribution to PPF For individual, can be in the name of self/spouse, any child & for HUF, it can be in the name of any member of the family. Subscription to any notified savings certificates. e.g. NSC VIII issue. Certain payment made by way of instalment or part payment of loan taken for purchase/ construction of residential house property. 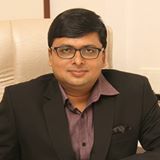 Condition has been laid that in case the property is transferred before the expiry of 5 years from the end of the financial year in which possession of such property is obtained by him, the aggregate amount of deduction of income so allowed for various years shall be liable to tax in that year. Any subscription to Equity shares/ Debentures forming part of any eligible issue of capital by a Public company/ Public Financial Institution, wherein. i) Eligible issue of capital means capital issued by a public co./ Public financial institution for utilizing the proceeds wholly & exclusively towards purposes of any business referred in Sec. 80IA(4). Tuition fees paid at the time of admission or otherwise to any school, college, university or other educational institution situated within India for the purpose of full time education. Available in respect of any two children. Any term deposit for a fixed period of not less than five years with the scheduled bank. This has been included in Section 80C by the Finance Act 2006. Subscription to notified bonds issued by NABARD This has been included in Section 80C by the Finance Act 2007 and has come into effect from 1.4.2008. Payment made into an account under the Senior Citizens Savings Scheme Rules, 2004 This has been introduced by Finance Act, 2008 and shall come into effect from 1.4.2009. Payment made as five year time deposit in an account under the Post Office Time Deposit Rules, 1981 This has been introduced by Finance Act, 2008 and shall come into effect from 1.4.2009. It may be noted that the aggregate amount of deductions under sections 80C, 80CCC and 80CCD are subject to an overall ceiling of Rs. 1.50 lakh. After deduction under80s my taxable income is 531000. Can I purchase additional tax saving infrastructure bond to save more tax? Pensioner assesses received medical allowance of Rs.350/- per month. Can this amount of Rs.350/- X 12months = Rs.4200/- be deducted from total pension amount received for IT calculations. Kindly send clarification to the e-mail address. Is there any changes in exemption for Island Special Duty Allowance (ISDA) for govt. employee posted at A & N Islands for IT calculation FY2015-16? TA limit extended Rs.800/- to Rs.1600/-pm is a very good step. Also continuing Tax deduction of Rs.2000/- U/s. 87 (A)is a good step for Gruop B, C D Employee. Where are the infrastructure bond for 2015-16 as declared in the 2015 budget under 80 CCF? please give details if possible ? I am an author of technical books.May I know whether I can get tax deduction /exemption on royalty of books being paid by Publisher.I heard that 80qqb with 10ccd forms,authors are permitted to avail the tax benefits.Pl do send me email with you your advise/reply. Is income, from fix deposits interest with scheduled bank for maturing after five or more years, tax free? Medical, leave travelling, food coupons, personel, variable, special, additional special, statutory bonus, uncollected food coupon, holiday pay. 80c not stated by mistake against 1st deduction above. its innocent typo error. thank u for article. I received FORM-16 from my employer.In the section VI-A under 80C LIC premium showing double that the actual.I declared the amount 49000 but it is showing 98000 in form 16.Hence my TDS was also less than the actual should be.While tax returning what should I do?Please help me out. I took two bhima plus units in 2004 and surrendered in 2014, surrender value is 2.9 lakh, according to 194DA IT act they have to deduct 2% of tax, but LIC deducted 2% of tax and credited to my account mentioning as 194C (i.e contractual pay) IT section. I am falling into 30% bracket income for IT. Now can you please answer below questions ? 1. Its credited with 194C section, so is it attracts additional tax liability for me ? 2. Whom should I report for correction of that section ? complained to LIC but they had deaf ear. 3. If its under 194DA then do I need to pay any additional tax ? Your urgent reply helps me a lot. I retired during August 2014. I received Accrued PF / Gratuity and PL encashment apart from 5 months salary and 6 months pension. I assume that all the amounts received should be shown in IT return form and then claim eligible exmptions. But the online ITR-1 does not contain any column to show the income other than Salary and other incomes and also no columns for showing ‘exemptions’ with details under relevant heads/chapters. I got encashed(redeemed) Sardar Sarovar Nigam L. deep discount bonds of yr 1992. The face value was Rs. 110000 but the encashed chq rcd this year was Rs. 50000 . Is it taxable for ay 2015-16? Your suggestion will be very helpful to me as I am a salaried person. This will ease my self E-Filing online for ITR AY 15-16. Respected sir, i am individual and i recived salray income income along with commition income from the diifreent companies. Can i treat it as my business come in one head.and Which ITR, i needs to file for F.Y.14-15 and within which due date. Respected sir, i am indidual and i recived salray income along with commition income from the diifreent companies . Which ITR, i needs to file for F.Y.14-15 and within which date. AFTER RETIREMENT ON 30-06-2014 FROM CENTRAL GOVT,I HAD PURCHASED CGHS (MEDICAL LONG LIFE SCHEME FROM MINISTRY OF HEALTH &FW)FOR VALUE OF Rs60,000/ FOR MY FAMILY . MY EN-QUERY IS WHETHER Rs60,000/ WILL BE EXEMPTED FROM INCOME TAX FOR FY- 2014-15. IF COMPANY PER ANNUAL TOTAL INCOME IS 100 CRORE SO WHAT IS THAT EXCEMPTION AND ALL DEDUCTIONS, AND FULL DETAILS OF THE COMPANY LIKE COMPUTAION ELEGIBILITY OF THE ALL PROCETURES. I am a senior citizen retired from PSU in the month of January 2015. I have received PF, Gratuity, Leave encashment and commutation of pension during the FY 2015-15. Please guide me which form I have to use for filing returns. ITR-1 do not seems to have the required columns for showing the exempted amount of these items. Sir, MY CA used to filed my ITR ONLINE and he has given his own E-mail I.D in Online Return. But now unfortunately he is passed away and now I am not able to file my ITR because I don’t know the password. Please held me what to do????? Sir you can reset the password by using forgot password option online. I am a senior citizen (less than 80 years)with taxable income (after deductions etc) for AY 2015-16 as Rs 629820. I calculated tax (without adding cess of 3%) as Rs 45964. While filling up ITR 2 I find that though gross income tallied as Rs 45964, but the system generated a tax (before cess of 3%) of Rs 47644. I brought this to the notice of CPC to check up the apparent glitch in the software but without any concrete response. Is there anything wrong in my calculation? our clint is a govt staff. He spent lumpsum amount for his daughter marriage on februvary. whether he can deduct that amount from his salary income during the year for income tax caculation. if your retrun is process than you do not revise return . if cpc centre not process than you revise return with in one year. what is the maximum deduction available to the individual , partnership , company from 80c to 80u from the income tax calculation? As per my company policy I had purchased on mobile hand set which was reimbursable.This reimbursable amount has been paid to me through my salary and accordingly tax has been deducted. I want to know whether reimbursable amount against purchasing of mobile hand set for use of company business is taxable ? Sir I am senior citizen and I have paid Rs 60000/- towards my CGHS card for current year(January 2015).kindly let me know how much amount I can avail as tax benifet during 2014_2015 fy. Say want file for Rs. 5 Lacs. Say Rs. 5Lacs is the income limit for which tax is zero and ITR can be filed. For which of the below mentioned years can file ITR with no charges. Or for how much amount can we file ITR with nil tax and for which of the years mentioned below before 31st March 2015. But would want to file ITR for about 5 Lacs or for the amount of Zero tax limit for the following years before 31st March, 2015. With no charges. iam a pensioner fro central govtand sr citizen. kindly reply upto what amount we are exempted from tax from the pension amount. My mother is a family pensioner of State Government. Whether she is eligible to claim HRA exemption from IT AY 2015-16, at present she is residing in rented house. If she shifted to own house, she is eligible to claim HRA exemption. Pl. clarify. 1. I have savings upto 50000/- and paid for children tuition fee 10000/- also i did some courses and booked for courses belongs to my job, it is approximately 50000/- So can I show these under 80c? Also what else can I show under what section. My income of this financial year already crossed 7 lacs. Pls advise me. 2. My present company not paying income tax as my previous company will issue me Form-16A, but this company will give Form-16 so there are saying u r not in slab in our company, u need to pay urself. So pls advise me can I pay tax online? If yes, pls give me details how to pay. I am getting disabilty pension from armed force of Rs 1750/ basic per month .Is this income taxable. you have not mentioned deduction for investments made Under Rajiv Gandhi equity savings scheme. AFTER RETIREMENT ON 31-12-2014 FROM CENTRAL GOVT,I HAD PURCHASED CGHS (MEDICAL LONG LIFE SCHEME FROM MINISTRY OF HEALTH &FW)FOR VALUE OF Rs60,000/ FOR MY FAMILY . MY EN-QUERY IS WHETHER Rs60,000/ WILL BE EXEMPTED FROM INCOME TAX FOR FY- 2014-15. I have purchased flat in under construction project in April 2014 and the same will be completed in 3/2016. My Annual EMI is 2.11 lakh interest and principal 1 lakh. How to claim this for FY 2014-15 ? Kindly inform relevant section and clauses. Presently I stay in govt officers quarters . Rebate under 87A is available for Rs.2000\-Therefor a senior having a total income up to Rs.3.20 Lakhs has no IT. Am I correct? Sir, I want to know whether the amount received from ‘Voluntary Retirement Scheme’ rolled out by the PSUs is fully taxable and under which clause/rule it is so. please clarify at the earliest. Sir,is monthly fees paid to school eligible for deduction under this chapter. The property is to be let out not already let out. How I can show my it deduction for financial year 2014 – 15 ? My CA says that to claim deductions for HUF life insurance is the only option and he prefers PPF amount not to be paid by HUF…. Can HUF NOT PAY PPF FOR ITS MEMBER AND CLAIM DEDUCTION… Also is it possible to open ppf account of minor ? The article about deduction of income tax ay 2014-15 has not been updated and misguides the public. I shall be very much obliged if you could publish an updated article incorporating the recent changes regarding enchancing the 80 c limit to Rs.1.5 lakhs. My mother who is 88 yrs is dependent on me. She is suffering from many old age problems including hearing loss, locomotor disability etc..Nursing and medical expenses are met by me. Is it elegible for deduction under 80DD. I have deposited a sum of Rs. 39020/- towards CGHS contribution for whole life medical treatment to me and my wife on 1st July 1914 after my superannuation on 30th June 2014. Let me know how much I may get the relief in income tax during the financial year 1914-15 and assessment year 1915-16 under s/c 80 D.
I have deposited Rs. 27030/- for whole life premium for health to central govt. health scheme. will i get the rebate on my income tax return for 2014-15. if yes than what rebate will i get rebate. HRA – Rs.17,780 a month. Housing Loan EMI – Rs.7,225/- monthly. Can Rent receipts of rs. 14000/- per month be appropaite to reduce tax burden OR show Housing Loan details only? Very good and informative article.Thanks. DO EXCELLENT JOB FOR COMMAN SALARIED EMPLOYEES, PLEASE DO CONTINUE YOUR EXCELLENT SERVICE. Very useful information for salaried employees, most of them remain unaware of these facts. Whether the benefit of Sec 80EE can be taken , even in case of original loan take over by another financial institution of the single flat bought in the given period? Request you kindly suggest what to do?? how to resolve this Issue, Ihave contacted CPC they refer to local AO ,local AO is no doing anything,rectifecation is also not feasible. Very useful info for individuals. The new format of Form 15H pose problems, with different Bank Branches interpreting the Form in different ways.Suppose I have an Account with a bank and my earning by way of interest on deposits are subject to TDS. Should I , while submitting the Form 15H claiming non deduction of TDS (a) because I am s super senior citizen and (b) I will have no tax liability being under under the slab, detail ALL my investments in Mutual Fund, Equities, deposits with other Financial Institutions and Banks, Bond and NCDs? Should I duplicate these details if I have to submit a FORM 15H to another Bank to claim exemption from TDS. What a waste of time and energy ! I am living in Borivali (Mumbai) on rental income and my office is also situated in Chembur (Mumbai) but i have a own house in Thane with Home Loan, Thane is a seperate district so can i claim HRA and Interest on Principal Loan Amount and Principal Amount. Please suggest. Each of the spouse is a separate entity for assessment of its income.As such the tax benefit is available to the assessee only. What is the maximum amount one can deposit in PPF in one financial year (during this current year)?